It's good to consider the performance of the best inflatable kayak and the various models that are available. However, when considering the value of these inflatables, their ease of use, inflation, stability, and portability are necessary. Water sport is amazing when you have easy-to-paddle inflatable kayaks. Instead of relying on the claims of the best inflatable kayak manufacturers that leaks are very unlikely, the quality of materials should be the yardstick. In this inflatable kayak buying guide, I'll be reviewing some of the best products that are available in the marketplace. As a hobbyist, I use the same kayak for fishing and water rafting activities. Also, there have been significant improvements in their designs in the last decade. I will share the secrets of buying inflatable kayaks; their low-maintenance and value will save a great deal of money. Before you that inflatable kayak, it's proper to understand the need of meeting your purpose. Alternatively, you can become an expert buyer of the kayak if you're still a novice. Many unenlightened people still see inflatable kayaks as pool toys. An inflatable kayak is a lightweight boat that has been constructed with tubes to hold pressurized air. The inflatable tubes have been used to make its sides, floor (with an underlying rigid structure), and bow. What makes inflatable kayak unique is their seat arrangements, easy dismantling, storage, and portability. Generally, kayaks are designed for built to offer less paddling efforts. Many adventure freaks use inflatable kayaks for different purposes like fishing, lake paddling, whitewater rafting, paddling adventures, and expeditions. Let's share some benefits of using inflatable kayaks. Inflatable kayaks might be lightweight but are rigid watercraft. Underneath the tubes are welded seams and I-beam constructions that increases the quality. Also, being lightweight, it's easy to be set up, and transported to the launch point by one person. Inflatable kayaks are foldable, and vinyl tubes are better kayak materials because they hold up better after inflating with air. Simply deflate them and fold before storing in backpacks or duffel bags. There are ultra-light inflatable kayaks that weigh less than 7kg. You'll be amazed at their small sizes after deflating a 3-meter kayak. Inflatable kayaks are puncture-resistant and strong; that's why they are versatile. Their versatility allows you to paddle with light-weight possessions like cooling boxes with drinks and bags. Apart from navigation, you can also use them for sea kayaking, white water rafting, fishing, or touring. At launch points, a hand or an electric pump can inflate the kayak easily. However, it's not advisable to inflate the kayak, attach to or trailer or tie it up on the roof rack and drive to your launch point. Air resistance might damage this watercraft by using this method. Instead, get an efficient electric pump that can be connected to the car's D.C (direct current) port and inflate to save launch time. Amazingly, owners of inflatable kayaks can take and use them anywhere. With a rigid kayak, paddle in remote locations or taking them along on a trip is easy. However, it's only a puncture-proof kayak that guarantees durability while using them on any water terrain. Most inflatable kayaks are sturdily designed and held with double-stitch finishing threads. High-quality kayaks are scratch-proof, and not prone to punctures. However, users must avoid sharp objects and rigid structures along water edges. Also, they should avoid collisions; rinse-off, clean and fold the inflatable kayak after use. These inflatable water machines have more advantages than hard-body traditional boats. Usually, all these features can help buyers choose from our top 10 inflatable kayak products. Innovation has simplified the ease of using inflatable kayaks. Most modern inflatable kayaks come with different material strengths, size, shape, and color. However, in choosing any type, a kayak that allows you to paddle without hassles, and suit your needs is the best. Here are the types of inflatable kayaks in the marketplace. The sit-on-top kayak offers enough space for onboard movement, casting, and access to water activity gears. This type is convenient for paddling on calm water. Simply, sit on top of the kayak, and worry less about cramping your legs, or resting your backrest for a better posture. This design is how traditional kayaks appear, and it allows your lower body to stay inside the boat. It's more comfy, and tighter than sit-on-top kayaks, and has an enclosed cockpit. Sit-inside kayak is designed for white-water paddling and protects the users from the splashes of water. These type of kayaks have higher walls, sides, deeper seats, and flat bottoms. 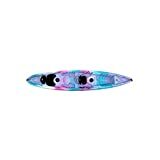 They look like canoes with plenty of space for a maximum of three people and are ideal for fishing. Usually, this type of kayak is made with low-quality materials and designed with ports (drains) at the bottom. These holes prevent flooding even when you paddle in shallow waters. Usually, you'll find inflatable sup kayaks around beaches. While paddling these types of inflatable kayaks allow their paddles to stand straight. 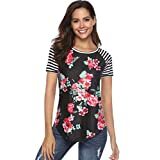 In line with the story suggested in the introduction, you need to tell how we picked these products and what were our considerations and criteria that helped us prepare this list of choices. Also, mention that we spent a lot of time on web research, we tested our listed products by community-based usage and also consulted with experts. It's valuable to have an inflatable kayak that makes a delightful possession. 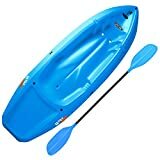 As a hobbyist with love for watercraft, I take recommendations from expert kayak manufacturers and forums before buying any model of inflatable kayaks. Also, working with our team of in-house watercraft engineers has helped me in knowing what makes a solo or tandem kayak great levels of performance. In this inflatable kayak reviews, you'll understand how we chose our top products. Usually, before I recommend any inflatable kayak, our water sports' volunteers and engineers spend hours test-running and researching them. So, we can list some considerable features after testing the performance of our top 10 inflatable kayaks by subjecting them to community-based usage. However, the results from our test crew don't prove any perfect condition of these products. Instead, there are top rated inflatable kayaks in this buying guide that have more features, and efficiency than other products. Novice water sports enthusiasts intending to buy inflatable kayaks should choose the specifications that meet their needs. Also, before buying any inflatable kayak, it should offer much value for money and gives enhanced performance. Are you thinking of the next getaway family vacation on an island with ponds and shallow waters? Water sports and sea kayaking are fun-filled activities. Also, you can bring a pet along even if you choose to sail without another paddler. There is the 1 person inflatable kayak, and tandem kayaks with adjustable seats. However, these are factors to consider while searching for the best inflatable kayak. Every activity requires a specific inflatable kayak boat, and the sit-on type is recommended for fishing expeditions. The sit-on kayak allows users to adjust sitting positions and stretch their backs. Also, the design gives space for accessing and casting your fishing gear. Alternatively, the canoe style kayak is spacious; it allows you to hold fishing gears and boxes for your catch. You need a canoe type of kayak with higher walls if you plan to paddle on turbulent waters. It’s a different type of inflatable kayak boat you’ll need for white water rafting or paddling near a bay. Also, paddling on flat lakes or choppy waters will require the sit-in kayaks. When paddling in a straight line, inflatable kayaks with high-end features need less correction. Polyvinyl Chloride (PVC) might not be eco-friendly, but it has great tear resistance. The PVC is widely used for inflatable kayak making because the material can withstand long periods of exposure to sunlight. The exterior covers of inflatable kayaks are coated with Hypalon because this material is more UV-resistant. Usually, most inflatable boat manufacturers combine Hypalon and PVC materials to save production cost. They are more durable, abrasion-resistant, and eco-friendly than PVC materials. A Nitrylon material is a mixture of nitrile and synthetic rubber. The weight of this material is heavier and more eco-friendly than Hypalon. Nitrylons are puncture-proof, tough, and durable. Inflatable kayaks are more durable than hard-shell boats if they are properly maintained. You can use a well-maintained inflatable kayak for years without changing it. However, bad storage, the frequency of use, poor maintenance, and the strength of material determine the durability of inflatable kayaks. Most inflatable kayaks have weights ranging from 25 to 45 lbs. Usually, bigger kayaks have more weight and leg space. Before buying an inflatable kayak, consider the weight of your gear if you use the boat for fishing. Don't forget that you will have to lift the watercraft and other accessories from the launch point to your vehicle after use. An ultra-light inflatable kayak is what you need for hiking and paddling. Usually, most inflatable kayak manufacturers build their products to a maximum of 4 meters (14 feet). There will be instability when models of kayak boats are longer than four meters. The ideal length of inflatable kayaks should make them easy to flip over. Self-bailing inflatable boats have drain plugs that allow paddlers to discharge water from the boat's compartment, and keep it dry. Usually, these kayaks are not built for sea kayaking, but shallow waters. There's a 3 and 2-person inflatable kayak model that is often used for recreation, and watersport competitions. Before buying this type of kayak, check the product label to see the weight capacity and seat arrangement. Generally, inflatable kayaks have adjustable seats that allow space for your legs, and small equipment. The most important inflatable kayak accessory is the pair of high-quality paddles. Other accessories like a handy repair kit, whistle, flashlights, first aid box, and navigation compass are must-haves. Also, an electric pump is used to set up the kayak at launch points. Water performance of inflatable kayaks varies with prices. However, a budget is important while considering the features of your dream inflatable kayak. Normally, decent inflatable kayaks with high-end features cost at least $500. You can decide on the model of inflatable kayak that meets your need based on our comparisons of the top 12 best products. However, you can follow our reviews to know what makes a high-quality inflatable kayak. Our team of boat engineers has evaluated each of the top-rated inflatable kayaks based on the ease of paddling, stability, inflation, value, and portability. Do you need to replace your old kayak boat with a 52lbs convertible inflatable kayak? This AdvancedFrame Convertible Inflatable Kayak by Advanced Elements is sturdily built and offers excellent paddle strokes. Here's why this tough, two-seater sports boat made our top picks. Open Deck Design: The AdvancedFrame inflatable kayak comes with an option of paddling solo or tandem. This inflatable canoe is partitioned for two adults to seat conveniently and has enough leg room. While it offers less paddling efforts to users, they can enjoy water competitions without being exhausted. Dry Storage Compartment: There's a dry storage compartment in the AdvancedFrame convertible kayak that can accommodate all your gears safely. It's made of a waterproof lining, and three layers of puncture-resistant materials. Easy Set Up: This inflatable kayak is a pre-assembled watercraft. The set up is easy; simply unfold, pressurize, and attach the seats. The dimension (35 X 21 X 12 inches) has allowances for three seats and allows you to paddle solo or in tandem with other paddlers. Maximum Weight of 550 lbs: This fifteen-foot inflatable kayak weighs 52 lbs, but it can hold a maximum of 550 lbs conveniently. Regardless of the boat's weight, you can lift and carry the deflated boat in a carrier bag easily. You can get other inflatable kayak models that are lightweight, and don't weigh much as 52 lbs. However, you'll need an oversize shopping bag to store this boat. With a puncture-resistant design, this inflatable kayak guarantees durability. It comes with a dry storage compartment for holding non-waterproof possessions like cell phone, compass or GPS while paddling. This AdvancedFrame Convertible inflatable kayak by Advanced Elements is ideal for workouts, and skills' practice. The Driftsun Inflatable Voyager Kayak comes as a complete package with two aluminum paddles, double-action pump, removable tracking skeg, and EVA padded seats for two paddlers. Also, the bottom of this watercraft is covered with a tough PVC tarpaulin. let's discuss other features that make this lightweight inflatable kayak among our top picks. Quick Launch Time: Within five minutes this kayak inflates to its full-size of 10ft. x 35” x 16”. The high-flow double-action pump is efficient and makes launch time quicker than normal. Lightweight Design: It's amazing to find a 27 lbs that's compact, and easy to maneuver while paddling. Also, this inflatable kayak's lightweight enables the user to transport it easily. After it has been deflated, the dimension (26”(L) x 16”(W) x 8”) allows you to fold and fit into a duffel bag too. Durability: The Voyager 2-Person Inflatable Tandem Kayak is a great possession that's has been fabricated with durable 840D-nylon oxford fabric tube. At the bottom, you'll find a heavy-duty PVC Tarpaulin that's tear-resistant. Also, the adjoining parts of both materials have double-threaded Boston valves that are leak-proof. Complete Accessories: You can get a complete set of accessories while buying this inflatable kayak. The package comes with the Driftsun Voyager inflatable kayak, a rear tracking fin, two adjustable EVA padded seats, travel bag, repair kit, Aluminum paddles, and the deluxe high-flow hand pump. This inflatable kayak supports straight travels on water bodies. It comes with an adjustable tracking fin that offers performance in both choppy and calm water bodies. It is not a fast kayak for experts, but beginner paddlers might develop their paddling technique with this product. It's one of the few models that has delivered excellent performance with its pointed nose entry (bow). However, this model is easy to maintain and has a rear drain plug. This inflatable kayak by Driftsun Voyager is for paddlers with low budgets that need a package that comes with complete accessories. In the absence of a second paddler, your pet can sail! The SE370 Inflatable Sports Kayak by Sea Eagle is a tough, and cheap boat for the lake and Class III whitewater adventure. The pair of tracking skegs that allow paddlers to travel smoothly across the water. Also, you can use this kayak for improving paddling techniques, yacht tending, and fishing. Here are other exciting features that come with this model. Adjustable Space for Two People: The maximum passenger capacity is for two persons, a pet and a cargo space. It's lightweight of 32 lbs offers maneuverability and buoyancy on water. So, there's no cause for worry when this inflatable kayak holds less than 650 lbs weight. 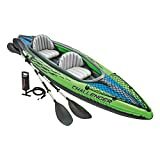 Suitable for Class III Whitewater: Most lakes are not turbulent, but this SE370 inflatable kayak by Sea Eagle can handle class III whitewater rapids. It's an ideal kayak for rivers because this kayak is highly maneuverable while paddling on the water. Complete Package: Apart from the SE370 Sports Kayak, Sea Eagle provides other accessories with this package for buyers. You'll get two units of AB30 paddles, and adjustable DKS seats respectively. Also included in the package are the foot pump and carrier bag. Affordability: The Sea Eagle's SE370 inflatable kayak for two is one of the cheapest, and best kayaks in our top picks. It offers impressive paddling performance, and value for money. Unlike other inflatable kayak models within its price range, the Sea Eagle's 370 is very stable, and versatile. This kayak isn't suitable for use on a windy day. This model of Sea Eagle inflatable kayak comes with two skegs beneath the boat that optimizes tracking and speed. Its exterior cover is made of tough PolyKrylar material, and the hull is strong enough to withstand scratches from pets' paws and claws. This watercraft can be inflated within five minutes, and plop into the water easily. It's a great tandem kayak for intermediate paddlers. This open style inflatable Intex Challenger K2 Kayak has high side walls will minimize the occurrence of splashes from choppy waters. Usually, inflatable tandem kayaks are lightweight and can fit handy backpacks. The K2 Kayak offers everything you need to enjoy your weekend in a getaway lake. Let's discuss other features that make this Intex Challenger K2 kayak a must have. Spacious and Set to Go: The overall width of 2 feet 6 inches (76cm) give room for your legs, bag, food, or drinks. When inflated, the Intex Challenger K2 kayak's has a compact dimension of 30 by 15 by 138 inches. So, it's a well-balanced kayak that makes paddling pleasurable when you are set to go. Super-Tough Vinyl Material: Most inflatable kayaks that are built with vinyl materials are durable. This Intex Challenger K2 Kayak features a puncture-resistant and super-tough vinyl that binds with the I-beam structure to maintain air-tightness. Also, the vinyl material is UV damage-resistant. Safety Features: The Intex Challenger K2 Kayak uses enhanced safety features that prevent collisions. It features a blend of bright green color and black streamlined design. Apart from the appearance of these sporty graphics, the concept makes this kayak very visible in the water. When there's poor visibility from fog or snow, it will be easy for other water users to see you paddling this K2 Kayak. High-Quality Accessories: The package comes with two units of 86-inch aluminum paddles, a carrier bag, and an Intex high-output pump that reduces launch time. The hi-output pump allows for easy inflation and deflation. Its open deck design has a medium-size cargo net to hold large goods. The vinyl material might be tough, but there's a stronger synthetic material that makes a high-quality blow-up kayak. This Intex Challenger K2 Kayak features an inflatable I-beam floor for rigidity. It also has two separate air chambers that are covered with a heavy-duty vinyl material that's puncture-resistant. It's the right tandem kayak for those in need of inflatable boats that fit into backpacks compactly. The solo inflatable AdvancedFrame kayak by Advanced Elements is a great choice for long hours of paddling. During the pressure test by our engineers, it was fully inflated for at least 48 hours and inspected with satisfactory results. Impressively, its three-layers cover proved high resistance to puncture. Here are some important features that intended buyers will enjoy. Built-in Aluminum Ribs: Advanced Elements have designed this solo inflatable kayak with built-in aluminum ribs to improve its maneuverability and stability. Also, its stern also acts as a skeg to boost the kayak's tracking performance. The strength of Material: There are three-layers of puncture-resistant materials around the kayak's frame. 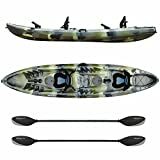 The main chamber of this kayak is covered with a heavy-duty 30-gauge PVC material. However, the inner layer is polyurethane-coated polyester, while the outer layer is PVC Tarpaulin with grade-1000 Denier Polyester. Also, the stern and bow are covered with welded-on landing plates. This three-layered material is strong and makes this kayak durable. Breathable Padded Seat: As a solo inflatable kayak, there is enough leg room onboard and an adjustable seat. The padded seat has a backrest that's designed with breathable foam mesh to increase comfort. After cleaning the seat, it dries quickly because of its tiny vents. Quick Launch Time: This solo inflatable AdvancedFrame kayak can be inflated and set up in just a few minutes. It looks like a rigid hard-shell kayak, but when deflated it can fit into a duffel bag for easy transportation. The Advanced Elements' AdvancedFrame inflatable kayak is a versatile watercraft that can be used for expeditions, recreational activities, and multi-day paddling excursions. It's the ideal choice for enthusiasts that need triple-layered, durable, and puncture resistant covers on their inflatable kayaks. Rover 220 Inflatable Kayak made our top picks. Durable and Lightweight: This kayak weighs 28lbs because it's made from lightweight materials. However, they are durable materials of grade-1000D reinforced layered PVC side tubes and a heavy-duty PVC tarpaulin base. 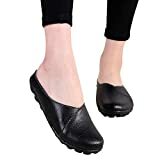 Both materials are puncture-proof and durable. Sturdy Construction: The side tubes and covers of this inflatable kayak have reinforced layered PVC constructions that are puncture-proof. When the tides of whitewater rock the kayak to hit obstacles, the reinforced double layer makes it bounce off without damages. Removable Rear Tracking Skeg: There's increased stability, and speed when paddling because of the kayak's rear tracking skeg. Also, the skeg is detachable (for whitewater) and offers great tracking performance in flat water. Ease of Paddling: Apart from the ease of use, the Rover 220 inflatable tandem has many adjustable features for smooth paddling. The footrests, aluminum paddles, and EVA padded seats are adjustable. Unlike most inflatable kayaks that take less than six minutes to inflate, this Driftsun Rover 220 takes about nine minutes to inflate. It's only an inflatable kayak with high-end features that can paddle through rough and flat water bodies. Apart from the skeg's superior tracking performance, this kayak's floor structural design that's held by rigid, and high-pressure drop stitches. This Driftsun Rover 220 inflatable kayak is for adventure-ready couples or team that dare whitewater and rough water thrills. The Intex Explorer K2 Kayak is a versatile boat for paddlers with intermediate skill level. It's bright yellow color and black sporty designs makes this inflatable tandem kayak a beauty to behold. Also, it's great for lakes and mild rivers expeditions. This compact watercraft is made with durable vinyl materials. Let's discuss its amazing features as the best kayak for the money. Suitable for Smaller Water Bodies: Using this inflatable kayak on lakes and mild rivers is a great way to experience paddling. Generally, the Intex Explorer K2 inflatable kayak is designed for smaller water bodies. Enhanced Safety: Water sports and recreational activities demand great safety measure. Interesting, the bright yellow color and black sporty graphics help to boost visibility while paddling. It's easy to spot the user of this kayak in cases of emergency. Small and Tough: The Intex Explorer K2 tandem kayak has a dimension of 20 x 36 x 123 inches. However, this lightweight craft can hold a maximum weight of 400 lbs and travel with increased stability. Comfortable Seats: This inflatable kayak for two comes with an adjustable, inflatable seat. Also, it has a comfortable backrest that eases discomfort during long hours of paddling. This inflatable kayak set comes with a pair of 86-inch aluminum oars, carrier bag, and an Intex high-output pump for easy inflation. It's an ideal product for buyers that need cheap, comfortable inflatable kayaks with spacious cockpits. This product is one of the most expensive inflatable ocean kayaks in our top picks. As a multi-purpose pedaling kayak from the Hobie, it's the best inflatable kayak for ocean and sea. So, the Mirage i11S inflatable kayak must have some interesting features that make it a good product. Twist and Stow Rudder: This fun craft comes with a twist and stow rudder that allows users to steer in a straight path. Usually, inflatable boats with rudders are stable and easy to maneuver. However, this model has its plastic rudder control fastened to the seat's bracket. A Multi-Purpose Pedal: This low-profile performer gives you the option of pedaling or padding on light surf bays, inland lakes or in the ocean. Also, it's a versatile watercraft that can be used for fishing, and day touring. Heavyweight Kayak: When fully rigged, the weight of this inflatable kayak is 82.4 lbs. The sit-on-top boat can hold a maximum of 500 lbs weight. More so, you can use the hands-free kayak while pedaling. Versatility: This multi-purpose pedaling and paddling kayak supports muscle building and other aerobic exercises. So, the Hobie Mirage i11S is a versatile watercraft that offers much value for money. The Hobie Mirage i11S might be an expensive product, but it comes with high-end features, unlike regular sit-on-top inflatable kayaks. It's a great multipurpose technical kayak that tracks with high performance because of its built-in bow and rudder. It's the right choice for buyers that need stable sit-on-top boats for light surf bays and the ocean. Are you searching for a longer inflatable kayak with tarpaulin bottom? The Sevylor Coleman Colorado 2-Person Kayak is the exact product that fits your purpose. It's regarded as a fishing kayak, but this watercraft is versatile. Also, you can attach trolling motor if you choose to use this inflatable boat for fishing expeditions. Rugged PVC construction: The 18-gauge PVC construction is sturdy for lake use, and the PVC material increases the durability level of this inflatable watercraft. When inflated, the puncture-proof side wall tubes can bounce off with easy when it hits obstacles along the waterways. This lightweight PVC is also compact, and stain-resistant. Airtight System: The inner lining of this 2-person fishing kayak is guaranteed not to leak because of its efficient air system. At the bottom is a grade-1000D tarpaulin bottom, and a grade-840D nylon cover that provides dual protection from punctures. Also, the air system uses multiple air chambers as an air reserve in case of a punctured chamber. Adjustable Paddle Holders: You can secure your paddles out of the way by using the adjustable paddle holders. Also, this Sevylor Coleman Colorado inflatable kayak comes with the Berkley quick set rod holders that ensure hands-free fishing. High-end Design: The inner compartment of this inflatable boat is aesthetically designed to look appealing, and easy comfort. This compartment offers large leg space, and mesh storage pockets to hold fishing gear and mobile phones. The base of this inflatable kayak is covered with grade-1000D tarpaulin to withstand damages from solid obstacles while paddling. The Sevylor Coleman Colorado inflatable kayak is stable and has high tracking performance. Its bottom is covered with 18-gauge PVC material that's always ready go a-fishing. Also, its abrasion-proof base reduces the risk of damage from rocks and sticks. The Sea Eagle 330 inflatable kayak has a solid structure. This deluxe package comes with many high-end features. Its high frequency welded seams have been fused by using 10,000 volts of power. Also, the Sea Eagle 330 inflatable kayaks have adjustable skegs that track smoothly across the whitewater. Here's why this inflatable boat made our top picks. Built for Class III whitewater: This fun craft is ideal for beginners that dare to practice their paddling skills on small lakes, and Class III whitewater. Its side walls have been designed with a nine-inch tube, while the floor structure has I-beam construction. The strength of Material: This two-person kayak by Sea Eagle has a tough cover on its inflatable side tubes, front and rear seats. Also, it features an extra-thick K-80 Polykrylar hull material that's puncture-resistant. Lightweight and Comfort: The Sea Eagle 330 inflatable boat weighs 26lbs. Also, this lightweight kayak has a total weight capacity of 500 lbs. Two adults and a pet can enjoy comfort during long hours of paddling because of the boat's exterior dimension of 34" X 11' X 2" long, and a roomy interior of 13" X 9' X 6"
For Extended Trips: There are three inflated air chambers (in the port, starboard, and floor) that give the tubes their tough built. Apart from enhancing paddling skills, you can take a tour of extended trips with this inflatable kayak. Also, this small inflatable kayak can glide over the surf in the ocean, and still waters. The two-adult Sea Eagle 330 inflatable boat might not have high-end features, but it's sturdy enough to hold about the 500-pound weight of load and paddlers. This inflatable boat is a cheap product, and it's ideal for beginner paddlers that need kayaks with spray skirts for gliding over the surf. This Driftsun Rover 120 inflatable whitewater kayak has a high-pressure floor that makes it rigid. Underwater current, rocks, and silts can't do any damage to the bottom of this tough inflatable boat. The Driftsun Rover 120 is an ultra-light inflatable boat, and some of its features are enumerated in this review. Rocker Profile: This inflatable kayak is built for class III and IV white water rapids. Its river runner outline suggests an adventure-ready boat for solo paddlers and their pets. Durable & Lightweight: It takes less than 5 minutes to inflate this lightweight boat. With a weight of 22 lbs, the exterior cover of this boat is durable. It features both heavy-duty PVC tarpaulin, and a grade-1000D reinforced layered PVC side tubes. Drain Plugs: It's easy to drain this inflatable boat when there's a flood because it uses five units of built-in rapid self-bailing drain plugs. While navigating flat water, keep the plugs locked to stay dry. Also, when paddling on white water, it's better to keep them open for quick and easy draining. Removable Rear Tracking Skeg: the skeg at the rear part of the boat's base is adjustable to increase stability and superior tracking performance. You can detach the skeg if there are obstructions in whitewater or when the kayak needs to be deflated and stored. It's designed class III and IV whitewater rapids, and not for withstanding the turbulence of the sea. This Driftsun Rover 120 solo inflatable kayak is always ready for adventures. Also, it has a reinforced layered PVC construction that's tough and reduces the risk of punctures from whitewater obstacles. I'll recommend this kayak for intermediate paddlers that want to upgrade their skills. Airhead TK-1 Montana kayak offers great performance while traveling on water. There's a large net in the bow that stretches across its end to hold possessions while paddling. However, this watercraft is designed for lakes and moderate white water. Let's unveil other characteristics of this inflatable kayak that qualifies it to be among our top picks. Sunlight and radiation resistant Material: The framework of this inflatable kayak is enclosed with durable tri-laminate reinforcements and tough grade-840-denier nylon. Both materials have water-resistant coatings and can withstand long hours of sunlight's UV exposure. Great Tracking Performance: The AIRHEAD kayak has a low drag and four units of fins at its base that provide superior tracking performance. Also, these features bring great stability for paddling enthusiasts. Sturdy Construction: This Airhead TK-1 Montana kayak comes with a semi-rigid heavy gauge PVC material. Also, it's fortified with the tubular I-beam floor that offers superior comfort. The strength of these materials makes this watercraft versatile. The Airhead TK-1 Montana kayak is a better choice for solo boat paddlers. Also, it offers superior tracking with the four fins at the bottom. With non-slip handles, it's easy to launch and pull-outs this inflatable kayak. After buying a great kayak, you might be disappointed if it's not fully inflated in less than ten minutes. However, the time of inflation is not the only factor that determines a foldable kayak. I'll share other important things to know about high-quality inflatable kayaks. How safe are Inflatable Kayaks? Most inflatable kayaks are not like hard-shell kayaks that are designed for harsh conditions or rough waters. You must follow the recommendations for use according to their specifications. However, high-quality inflatable kayaks come with puncture-proof constructions to prevent sinking and rear skegs that enhance stability. Usually, inflatable kayaks with military grade PVC covers are built to last. The durability of your inflatable kayak depends on the strength of its materials and level of maintenance. It's not all kayaks that can travel through rocky waters. So, get one with a heavy-duty PVC Tarpaulin that's tear-resistant if you must travel through such terrains. After paddling in fresh or salt water, deflate and wash-off microbes to prevent mildew growth. Then allow the inflatable kayak to dry under direct sunlight before folding it for storage. These procedures will enhance the lifespan of your kayak. What Is The Best Inflatable Kayak Size To Get? The important factors that determine your ideal kayak size are height and weight. Also, the inflatable kayak must have enough room for gear, accessories, and legs. It's easy to get the size that matches your preference from the kayak's specification data sheet. Additionally, the maximum weight allowance of a kayak is different from the product's weight. Don't get confused with the information, but seek clarifications when in doubt. Are Inflatable Kayaks Hard To Care For? It only requires thorough and timely maintenance to care for inflatable kayaks. Usually, kayak owners have repair kits and accessories which they should use when necessary. Folding patterns are important to prevent cracks on their vinyl covers. However, inflatable kayaks should be exposed to sunlight to clear mildew growths after they have been stored for a long period. Also, owners of inflatable kayaks must avoid folding the seams because that's the weakest point on the watercraft. Don't allow any part of the kayak material to be snagged by the storage bag's zip. After deciding on the best inflatable kayak that meets your needs, you must understand useful tips on how to use the product. I’ll share some important tips on how to use your kayak. Most inflatable kayaks are pre-assembled from the factory, but the set up is very easy if you follow the product’s manual. At the launch point, you are expected to unfold the inflatable kayak and inflate. It will be impossible to pressurize with air when the electric or hand-pump is not available. Before inflating, check to confirm the number of separate chambers in the kayak and the required psi. Ensure to know if the inflatable kayak is designed for salt, fresh, flat, or turbulent waters. Paddlers must wear life jackets with reflectors before jumping on the kayak. Also, whitewater rafting will require the use of helmets. Don’t forget to bring your repair kit along because even the smallest roll of waterproof duct tape can be a lifesaver. Usually, people store their foldable inflated kayaks in duffel bags. Ensure to wash the deflated boat with soapy water before rinsing with clean water. Also, spread the kayak under direct sunlight to dry before storing in a backpack or duffel bag. After prolonged storage, always unfold and dry in the sun to prevent molds, creases or weak spots on the kayak. You shouldn't be interested in purchasing a hard-shell kayak after reading other inflatable kayaks reviews, and this article. The ease of use with inflatable kayaks is more than hard boats. Also, our confidence in each of the best-rated inflatable kayak that has been described above is unshakable. Apart from the purpose of use, our team of boat engineers considered their durability, versatility, weight, and strength of the material. There's no doubt that innovation will bring better water performance with inflatable kayaks soon. 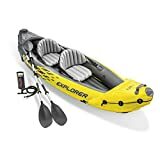 However, I'll recommend the SE370 Inflatable Sports Kayak Pro Package by Sea Eagle for beginners that are interested in developing their paddling skills. It's better to buy an inflatable kayak that's cheap, and save money for other accessories. The sit-on-top inflatable sea kayak might be expensive, but it has high-end features. So, buy the Hobie Mirage i11S inflatable kayak with pedals and paddles for short and long distances respectively if you like water sports competitions. It's a top inflatable kayak with an attachment for water-friendly cameras. You can record every expedition and competition while having fun.